Please let us know if you prefer to kayak one way or need to be picked up. 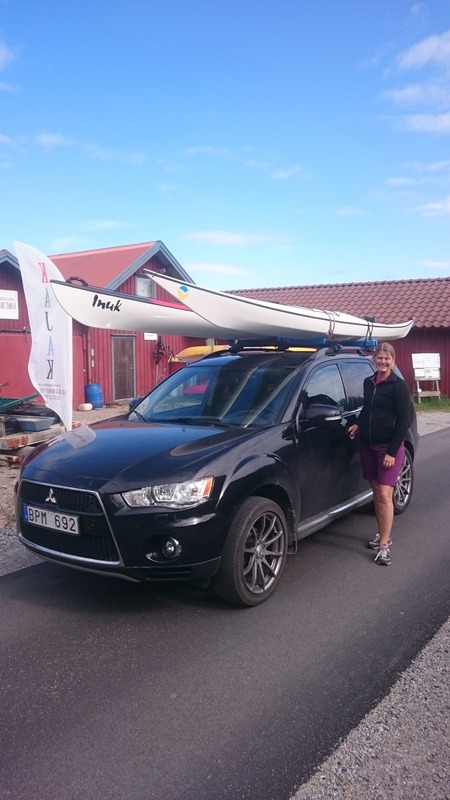 We offer kayak transport at land and sea so as an extra service for our customers. That way you can let the wind decide where you go and have us pick you up when you want. The price is 300 sek + 25 sek/km by car and 250 sek/nm by boat from our main centre in Grönemad, Grebbestad. The service includes transport of 2 kayaks/persons. For more than 2 persons/kayaks and extra fee of 500 sek is added for the trailer. Please submit where and how you would like help with transport in the bookingform and we will provide you with an exact price offer, minimum charge 500 sek. If you have more luggage than you can fit in the kayaks we help you with the concept “paddle light” where we can deliver luggage such as (tent, food, firewood etc) for you during your tour. Basically tell us what you need and we are happy to provide you with an solution. These services are usually combined with a gps tracker that makes it very easy for us to find you.